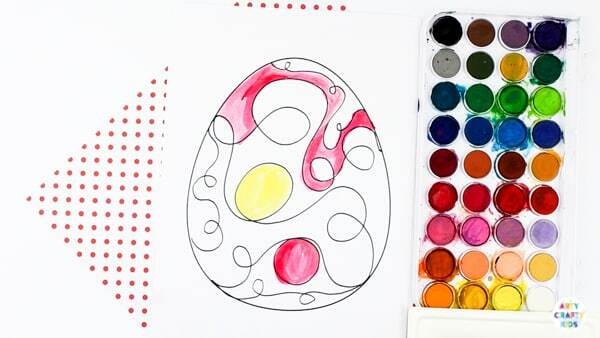 This simple Squiggle Art Easter Egg Activity can be adapted to suit children of all ages and explores line work, colour matching, basic colour theory and shape. 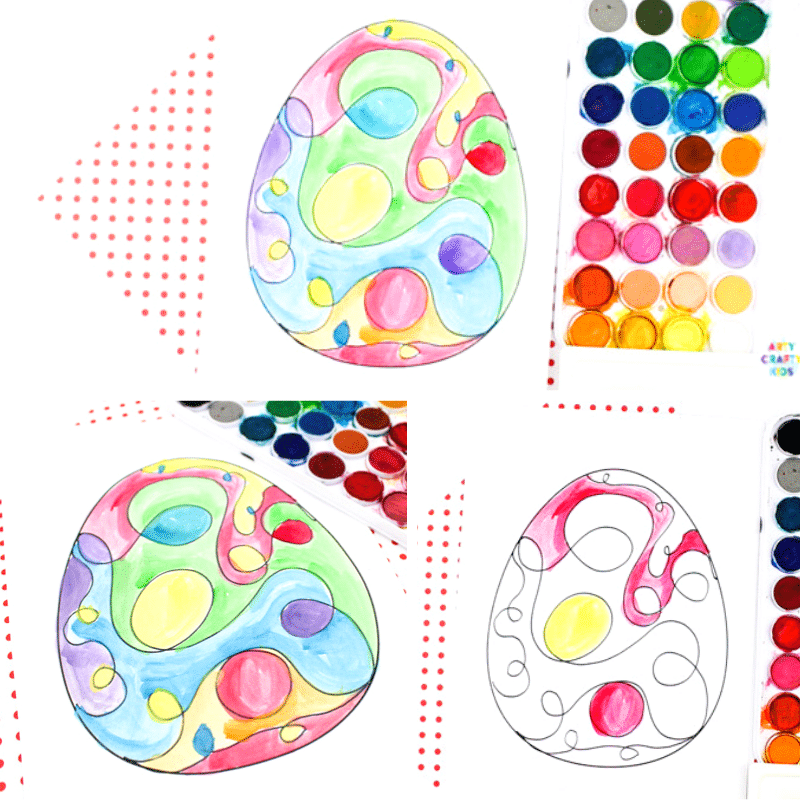 While the focus of this activity is watercolour paint, lots of different mediums and techniques could also be explored. 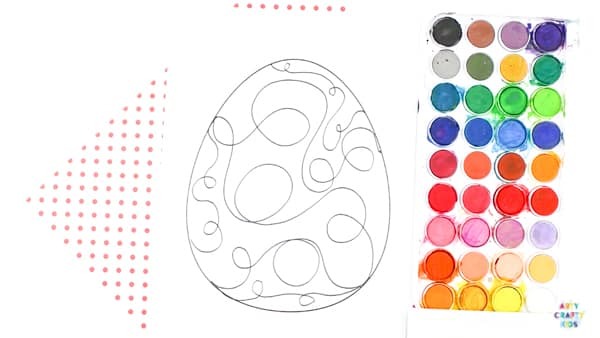 For example, try filling the white space with fingerprints or/and overlay painted areas with prints of a circular object (bubble wrap, pen lid etc, lego etc). Alternatively, try collaging the larger areas with torn printed paper or recycled paper from a magazine. There are many ways for Arty Crafty Kids to make this craft their own and use their creativity to create something really special. 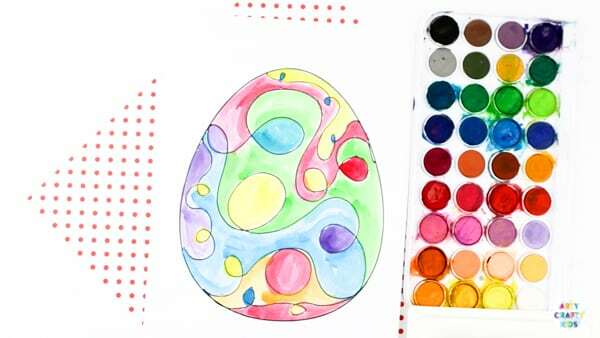 Use a black pen or crayon (a crayon will repel the water, allowing Arty Crafty Kids to brush over the lines with their watercolour paints) to work within the Easter Egg outline, filling the white space with squiggly lines. 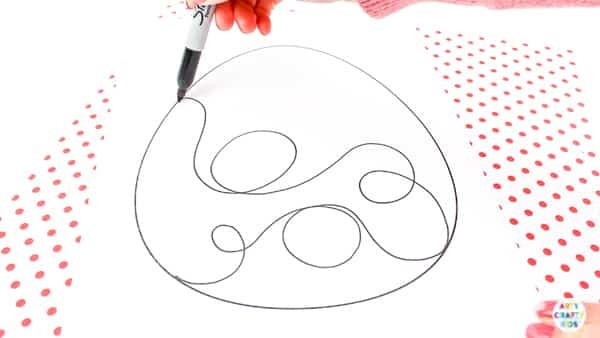 OPTIONAL: Fill the gaps with smaller squiggle lines. 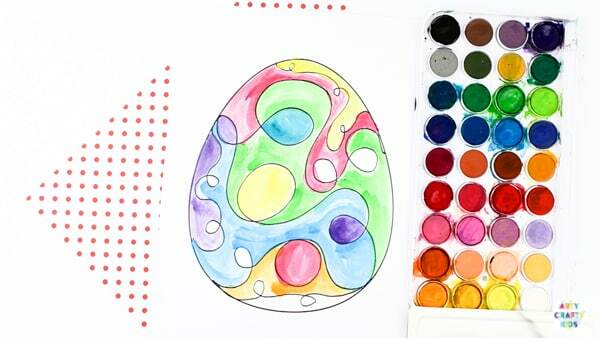 Once the Easter Egg is complete, a colour matching element could be added to extend the craft. Gather a collection of buttons, pom-poms and sequin, and ask your Arty Crafty Kids match their colours to the correct painted area. 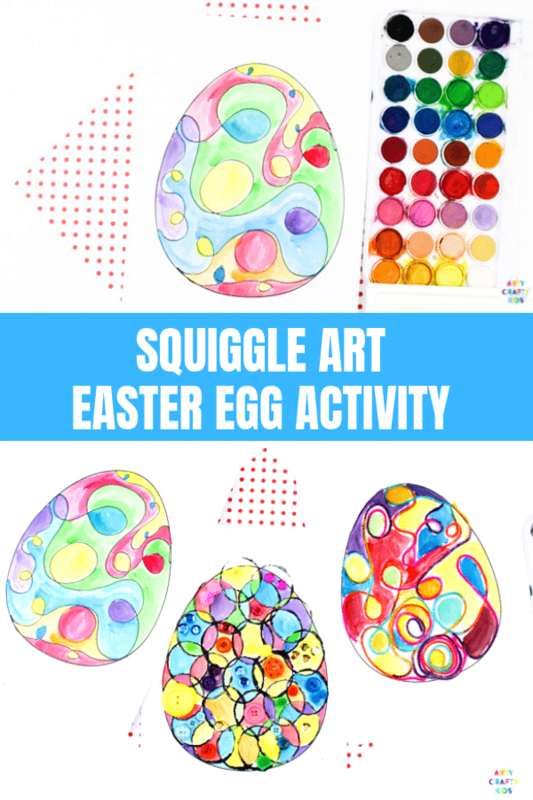 I hope your Arty Crafty Kids enjoy this Squiggle Line Art Easter Egg Activity. This concept forms of one three that we’ve created with the same template. 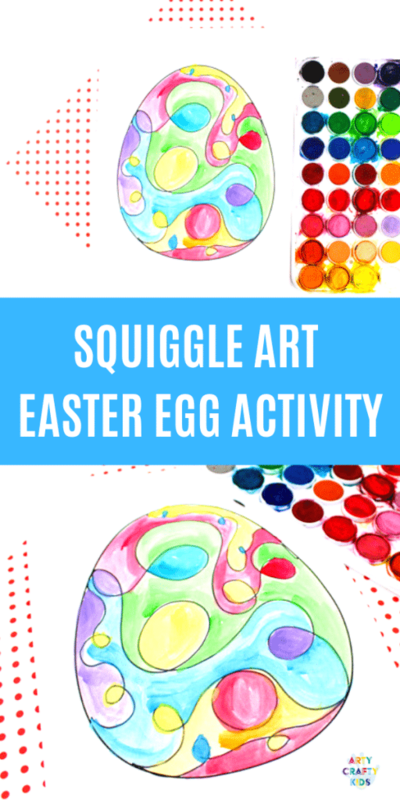 Take a look at our Yarn Squiggle Art Easter Egg Activity and easy peasy Circle Art Easter Egg Activity.